Crisp cucumbers with onion in ranch dressing. 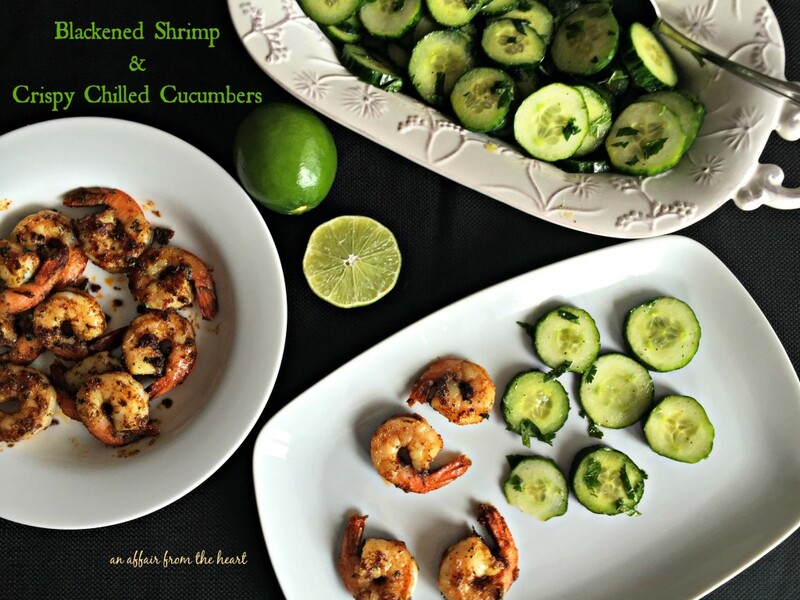 An easy side dish your family is sure to enjoy! 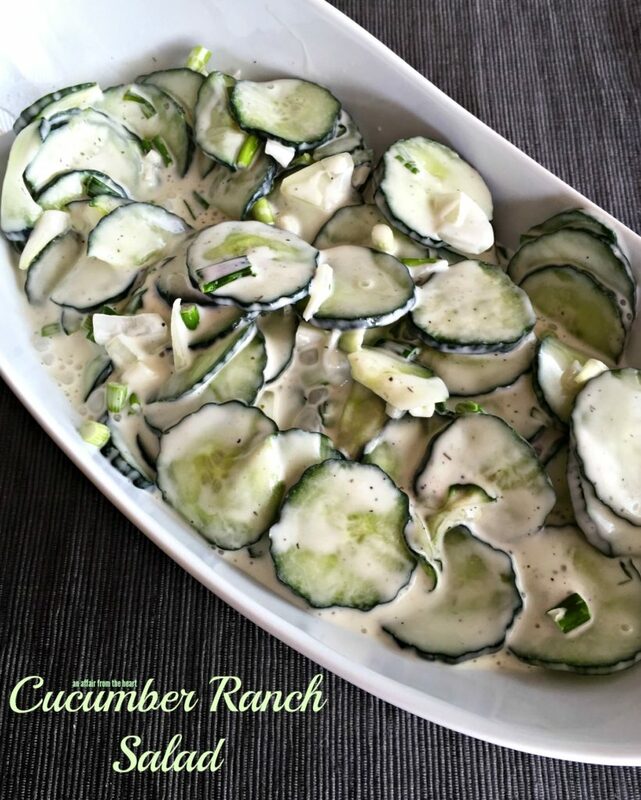 Growing up my Mom made cucumber salad, but made it with vinegar sugar dressing, which I still love, but this is how my Mother-in-law does it, and if you love ranch, you will love it! Well…of course it helps to like cucumbers, too. 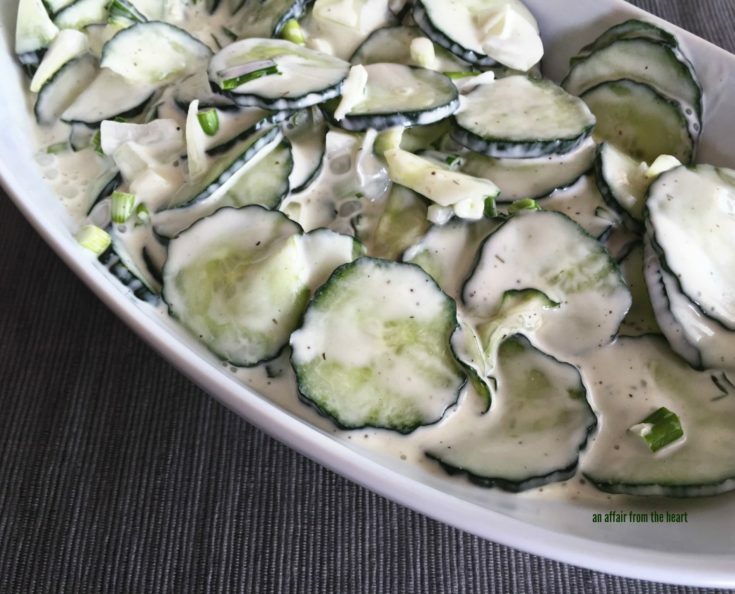 But chances are you wouldn’t be reading a recipe for cucumber salad if you didn’t. Sometimes when I blog a recipe like this I wonder if ya’ll think I am nuts to blog something that is so easy. Then I remind myself, I had never had it until I was the ripe ‘ol age of 22, so maybe you haven’t? 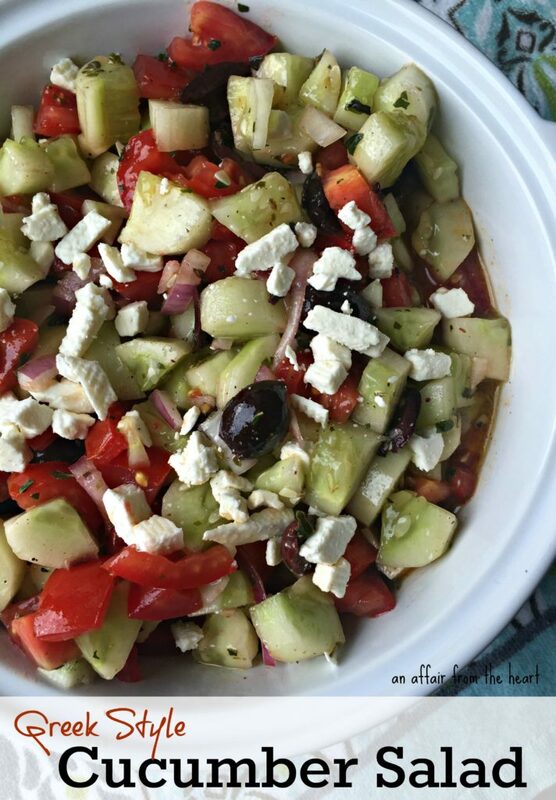 Sometimes, I just blog these recipes, knowing that someday my daughter (the oldest one who doesn’t like to cook) may want this salad she loves, and she can go to the internet and figure out how to make it! So, the whole thing is pretty darn easy, but better to make them in the morning, or the night before so they can soak, after you read the recipe you’ll know what I mean. Slice cucumbers and place in a bowl. Cover with cold water and give a good sprinkling of salt. Place in refrigerator for a couple of hours to soak. This will keep the cucumbers firm. Give it a sprinkle of pepper and you're all done!! Love Cucumbers like we do?? 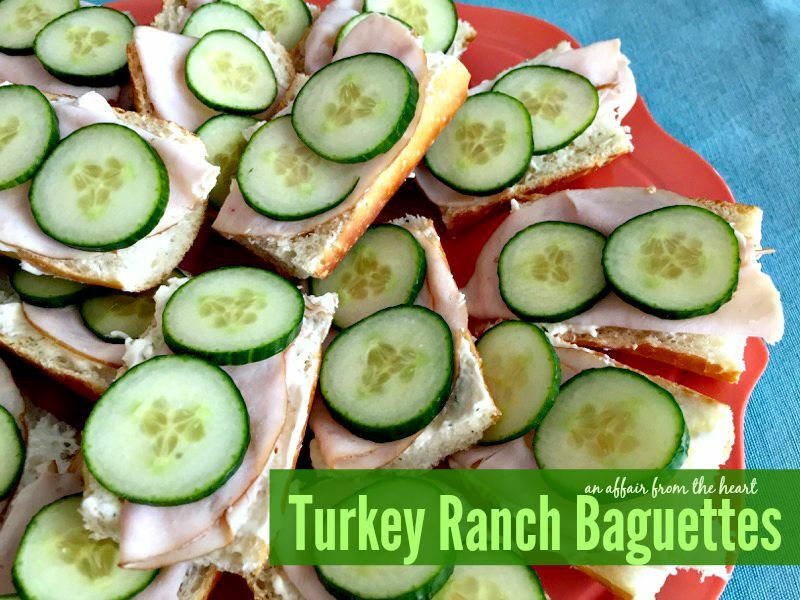 Here are some of our favorites – click the picture to be taken to the recipe! 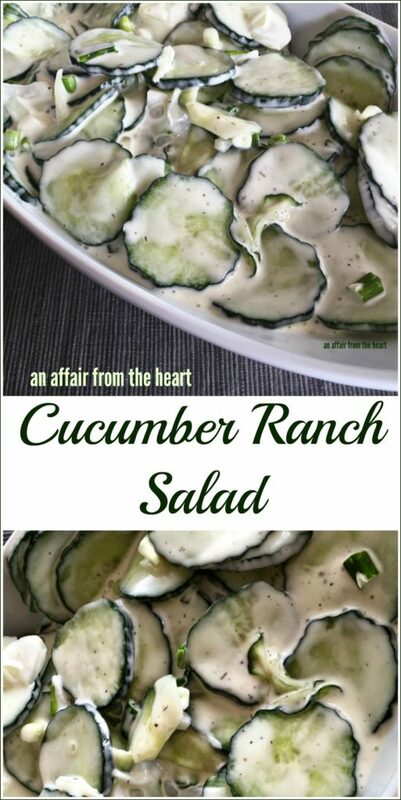 This cucumber Ranch Salad has me a little confused. It says to cover with cold water. After you let them sit, do you drain the water? Also if you do not, wouldn’t the salad be runny after putting in the Ranch dressing? Thank You…Can’t wait to try it..